The RCIA readings and reflection questions this week raise the issues of rising from our sadness, trusting God can deliver wisdom through our suffering, and the great and final ‘sign’ of Jesus in the Gospel of John: Raising Lazarus from the tomb. If you parish does not have candidates for Baptism at Easter, the readings raise the issues of the covenant relationship with God, suffering and the significant moment of Jesus saying the saving ‘hour’ has arrived. 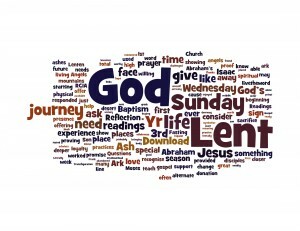 4th Sunday of Lent has Samuel doing an incredibly difficult task – making another King while one is still on the throne! And a blind man now sees – and faces the consequences of rejection from the synogogue and community for believing in Jesus. Knowing and living for Truth and God has challenging consequences! The Readings for those not having RCIA candidates in your parish has the incredible story of King Cyrus – a Persian king – who actually frees God’s people and helps them build the Temple. Nothing is impossible for God. Combined with this with have the story of Nicodemus, a leading Jew, trying to make his way to Jesus under the cover of darkness. Blessings on the praying, fasting and giving! Enjoy and share. If you have used and enjoyed livingtheword and are able to make a donation click here for details. $380 received with thanks seeking a total of $800.